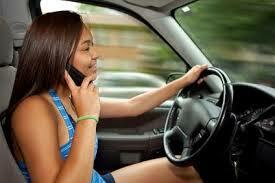 It’s a moment that most parents seem to dread equally; their teenage child’s first time behind the wheel. I recall my first time behind the wheel, not for what it was, but for what it wasn’t. The car I was to drive wouldn’t start, and the hours and hours of anticipation leading up to the moment were deflated in an instant at the hands of a dead battery. Though the reality of that disappointment was momentary, that day it seemed to last an eternity. Looking back, I probably could have waited a few years to drive; actually, I should have waited. For most people, their 16th birthday is a major milestone, and their driver’s license carries a rite of passage into adulthood. It’s a time when doors seem to be opening the left and right, from a driver’s license to completing college applications, to realizing that the days of your childhood are all but behind you and the days of adulthood are fully within your grasp. Most kids count the days until they are eligible to drive. Their parents count the days as well, but usually for the exact opposite reason. Ready or not, here they come. The easy answer would have been to say “yes”. We’ll work on her scanning skills, central-peripheral integration, eye-hand coordination, as well as her response times, and things will be good. We can make sure she converges and diverges efficiently. We’ll strengthen her accommodation and be sure it is well-integrated with her vergence system to remove any and all disruption between the two. Yup, from a visual standpoint this patient will be prepared to be a good driver. Putting the car keys in the hands of your teenager can be a scary thing, especially when you consider that texting and other cell phone distractions are statistically among the highest cause of fatalities involving the automobile for drivers between the ages of 16 and 24. Sure, most states now have laws prohibiting the use of mobile devices while driving (said law just went into effect in January here in Texas), but how many of us follow that law 100% of the time? And when your teenager is behind the wheel, you have to hope that they don’t buy into the old “rules are meant to be broken” adage. The real answer to this dad’s question was “no”, I cannot guarantee anything. No one can account for her judgement once she’s out on her own. No one can account for the circumstances she finds herself in when traveling down the road. No one can account for the level of stress she’s able to manage and how she responds to that stress. 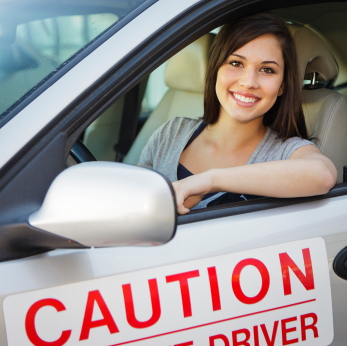 All we can really do is get her eyes and brain to understand what’s in front of her, teach her how to operate safely on the road, and then rely on the sixteen years of core values instilled in her to lead to good decisions and safe practices. Our kids will grow up, and although they don’t realize it, it’s a process filled with pride and pain for their parents. It’s probably why most parents go gray or bald long before we’re supposed to. This young lady will soon be driving a car, as will my own daughter in less than three years, which I’m sure will put my emotions right next to this young lady’s father. Yes, technically at 16 they’re old enough to drive, but what they fail to realize is that somewhere inside their 16-year-old body is that little infant we once held in our arms, and because of that, we will always worry for them. Always. When I’m emotionally thrashing about with worry, or in a similar position to this patient’s dad, who’s clearly seeking guarantees in areas loaded with unknowns; I have to remind myself to follow the very advice I offered to this parent. And that is to try everyday to focus a little less on what can go wrong, and a little more on, what we’ve made possible. Posted on October 19, 2015, in From My Perspective.... Bookmark the permalink. Leave a comment.